Flavorful and delicious. I use it on pizza, baked potatoes, grilled steak, french fries; the list is endless. I love this olive oil. I use it on pizza, in risotto and other pastas. 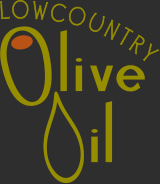 We love this olive oil and use it all the time. So glad that I was introduced to it! My husband loves it so much he won't share it with anyone!